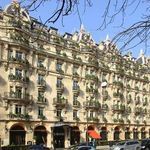 In the chic Hotel Chavanel, Paris has the very property for which the phrase “small but perfectly-formed” could have been conceived. 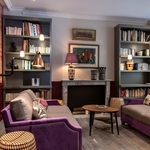 The frontage, a couple of minutes’ walk from the Madeleine, is so narrow you could walk by and miss it, standard rooms are small too, yet into them has been packed every amenity expected of four-star accommodation, from the velours robes to the make-up mirror, the iPod dock to the coffee maker. The design is exquisite. Lace used in curtains is of couture quality, and the lace pattern echoed on the headboards was created by Sophie Hallette, who provided the lace for the Duchess of Cambridge’s wedding dress. But the lace, a tribute to what was once a street of fabric merchants, is the only old-school element in decor dominated by bold, bright designer pieces. The hard edge of modernity is softened by cashmere throws, leather-topped desks, elegant lace-patterned carpet and even lacier light pendants and bedside lamps. Even the white porcelain bathroom tiles echo the lacy theme. 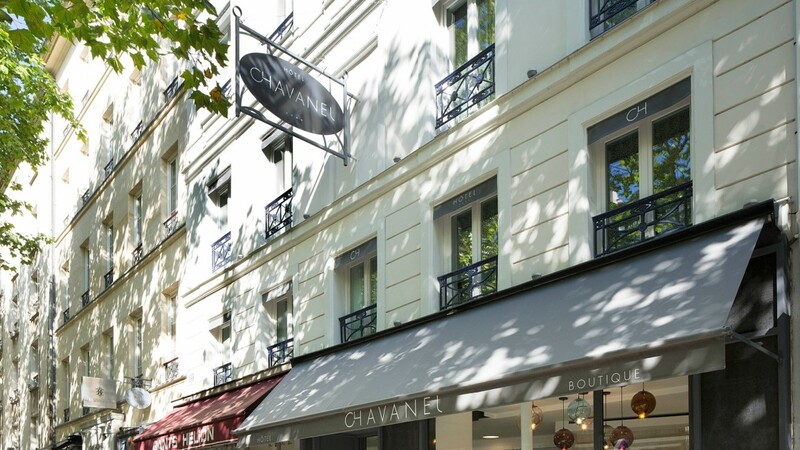 The Chavanel is a fashionista’s favourite, perhaps because of its pole position between the smart shops of the Opera and Place Vendome in one direction and the department stores of the Grands Bouelvards in the other. Yet the rue Tronchet, while wide, remains a quiet street, with no night-time revellers to disturb sleep. An all-organic buffet breakfast is served in the stylish, vaulted basement, while a slightly startling lobby lounge on the ground floor is all white-barked trees and teal walls on one side, giant glass baubles and birdcages on the other. 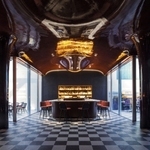 Even the reception desk is a bespoke creation by smart interior designers Peyroux & Thisy. 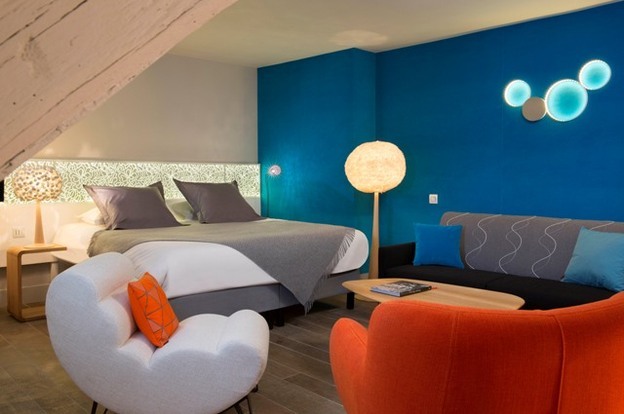 They masterminded the recent refurbishment of this tiny “blink and you’ll miss it” hotel – and luckily, given the keen room rates for such a good location, thought to mark the entrance with a pair of statement trees in planters so you won’t.